This wonderful updated ranch in Vernon Downs Subdivision is priced under the appraised value! This classic mid-century ranch is freshly painted and the refinished hardwood floors are gleaming. This spotless ranch has three bedrooms and 1.5 bathrooms. The great room is full of natural light from a bank of gorgeous windows. The fireplace has a brick surround and is a perfect focal point for the wonderful space. The dining area is connected to this great room, with the kitchen beyond. With a passthrough window, the kitchen is part of the great room, such contemporary styling for this 50’s ranch! The kitchen has plenty of cabinetry, wall oven and stainless steel sink. 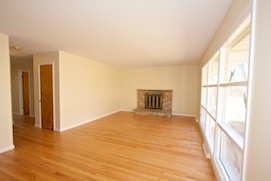 All three bedrooms have hardwood flooring, and plenty of closet space. A full basement, is huge and ready to be finished off for tons of extra living space. 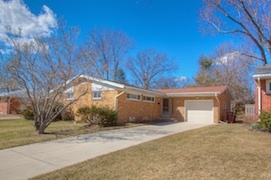 This home is in easy walking distance to the U of M football stadium and just minutes away from downtown Ann Arbor by car or bus. Make an appointment today! This piece of Ann Arbor real estate will not last long!